ACLU Recommendations Would Mean "More Money for Hamas"
The American Civil Liberties Union released a report June 16 (together with a You Tube video) attacking the U.S. government's efforts to shut down terrorist-financing charities. The report was based on 120 interviews, 115 of which were conducted with Muslim community leaders and other Muslims "directly affected by" U.S. government policies regarding the charities. It suggests (contrary to a substantial body of evidence) – that the U.S. government was wrong to have acted against the Holy Land Foundation for Relief and Development, the Al-Haramain Islamic Foundation, the Global Relief Foundation and other charities accused of raising money for terrorist organizations. The report also perpetuates the myth that the United States government may be planning to prosecute persons for unwittingly contributing to charities that were fronts for terrorism. 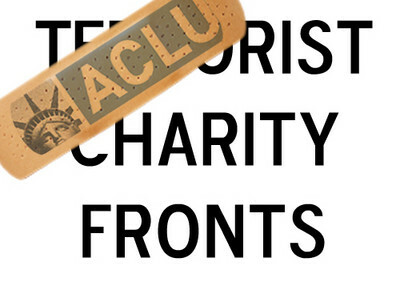 The ACLU asserts that post-September 11 policies targeting these charities have a "disproportionate" effect on Muslims and "are undermining American Muslims' protected constitutional liberties and violating their fundamental human rights to freedom of religion, freedom of association, and freedom from discrimination." It recommends a series of policy changes which include repealing Executive Order 13224, issued shortly after September 11, which creates mechanisms for designating persons and organizations as "specially designated global terrorists" (SDGTs). The ACLU also calls on the FBI to employ the" least intrusive means" necessary to accomplish its investigative objectives and urges the federal government to ban law enforcement practices that "disproportionately" target people "based on ethnicity, national origin or religion." In his June 4 Cairo speech, President Obama asserted that there are too many impediments to Muslim efforts to fulfill their obligation to give charity, or zakat. As we have previously noted, this is patently untrue. The only way "loosen" restrictions would be to effectively to cripple current U.S. law barring material support for terrorism. The ACLU recommendations mean "more money for Hamas," said Dennis Lormel, who created the FBI's terror financing section. Terrorist organizations like Hamas and Hezbollah use the charities to build hospitals and provide food to the poor to win the trust of local Muslims. They then use "this credibility to enlist children as suicide bombers," Lormel said. But if the ACLU had its way, the U.S. government would lose critical tools for preventing U.S. charities from sending money to terrorist organizations. Using the "least intrusive means" would make it much more difficult (if not impossible) to shut down terrorist- financing charities like HLF, Lormel told IPT News, because they could deny the government the ability to use methods like wiretaps which were critical to building a case against the group for providing funds to Hamas. Ending the SDGT designations would take away a valuable deterrent to abuse. "We know from experience that people stop donating to these charities once they are designated as supporters of terrorism," added Lormel, a 28-year FBI veteran who oversaw its stepped-up efforts to shut off the flow of funds to terrorist organizations after September 11. The ACLU complaints about the "disproportionate" impact of these investigations on Muslims overlook the reality that most of "the terrorist violence we've seen the past eight years comes from the Muslim world," says Jonathan Schanzer, who worked as a Treasury Department counterterrorism analyst in the George W. Bush Administration. One myth running through the ACLU report is that the government may be preparing to prosecute persons who contributed to such charities out of ignorance. American law makes it illegal to provide support to any entity designated a terrorist group by the federal government. But the 1995 executive order signed by President Clinton and legislation enacted the following year by Congress cementing it into law do not affect donations to relief agencies that have not been so designated. Virginia Imam Mohamed Magid claims that Muslims have a legitimate fear that they could innocently contribute to a charity today and find themselves under investigation several years later if the government concludes that the charity is financing terror. But for someone to be convicted of a crime, prosecutors must prove they knew that money would go to benefit a terrorist organization. Before the Treasury Department shut down the HLF in 2001, it had been considered the largest Muslim charity in the United States. Five leaders of the organization were convicted and sentenced to long prison terms for providing $12 million to Hamas. But Jim Jacks, the lead federal prosecutor in the HLF case, notes that only leaders were charged – not the people who contributed money believing it would be used for humanitarian projects. "There was never an instance where a donor has been prosecuted or sanctioned for making donations to the Holy Land Foundation," Jacks said. "The people who were prosecuted and held accountable were the people that set up and ran the Holy Land Foundation and knew what they were doing." Lormel said the procedure used in the HLF trial has been implemented across the board. "The government has not gone after donors in any of the other [terror-financing] cases," he said. The ACLU suggests in its report that that the HLF, Global Relief Foundation (GRF), Al-Haramain and Benevolence International Foundation cases were little more than witch hunts targeting Muslims who were not involved in terrorism. But in each of these cases, the government has presented substantial information linking the groups to terror. In the HLF case, the five defendants were convicted after a two-month trial on all counts of conspiring to provide money to Hamas. Jurors convicted the five after hearing testimony from expert witnesses such as Matthew Levitt, former deputy assistant Treasury secretary, who explained the connection between Hamas' military and social branches and how the HLF used zakat committees to route money to Hamas. During the sentencing hearing, U.S. District Judge Jorge Solis repeatedly said the evidence was clear that "The purpose of creating the Holy Land Foundation was as a fundraising arm for Hamas." In the GRF case, the Treasury Department detailed the group's connections to al Qaeda and the Taliban, including contacts with Wadih el-Hage, Osama bin-Laden's personal secretary, who was convicted for his role in the August 1998 bombings of the U.S. embassies in Kenya and Tanzania. After years of wrangling with Saudi Arabia, the Treasury Department last year designated Al-Haramain's worldwide operation for having provided material and financial support to al Qaeda. In Bosnia, for example, they found links between Al-Haramain and Al-Gama al-Islamiyya, an Egyptian terror group that signed Osama bin Laden's Feb. 23, 1998 fatwas against the United States. In Bangladesh and Kenya, Al-Haramain members were implicated in assassination plots against U.S. citizens. These are just a small fraction of the connections between Al-Haramain and terrorist organizations cited by the Treasury Department in designating it a supporter of terrorism. In the case of the Benevolence International Foundation, the group was designated for supporting terrorism because of memos like this, in which members of the group establish a terrorist base in Sudan. The designation occurred in 2002 after Bosnian authorities uncovered ties between Benevolence International Foundation and Al Qaeda. But in attempting to manufacture a case that the U.S. government is persecuting Muslims, the ACLU chose to overlook considerable evidence showing that these charities are involved in terrorism. Did they interview the Muslim "community leaders" in prison for funnelling millions to terrorist groups?